Ellesmere Port boasts a strong industrial heritage, but today it also proudly shares its marine importance through attractions including the National Waterways Museum and The Blue Planet Aquarium. The town also has excellent shopping facilities including a Lindt chocolate shop for visitors with an insatiable sweet tooth. 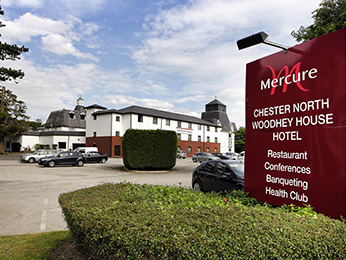 Make the most of your visit by taking your pick from our selection of hotels in Ellesmere Port below. Ellesmere Port can be located easily via road, with good access to the M56 and M53, with a coach station offering trips to various destinations around the country. Alternatively, the town is accessible by canal boat and is the terminus for the Shropshire Union Canal. Booking a hotel in Ellesmere Port with AccorHotels couldn't be easier. Simply browse our selection of hotels below and choose one that best suits your needs. Booking online with AccorHotels offers a host of benefits, including our Best Price Guarantee and last minute and real-time room availability.